These designs are weird but crazy unique and beautiful. 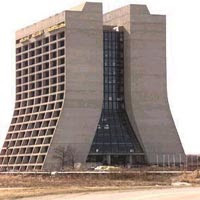 I am fascinated with the minds who created these buildings. 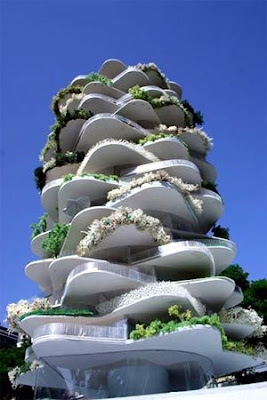 The picture above is located in Europe and created by Frank Gehry. 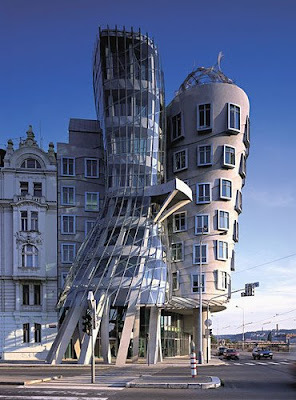 This is called THE DANCING HOUSE in Prague,Czech Republic. 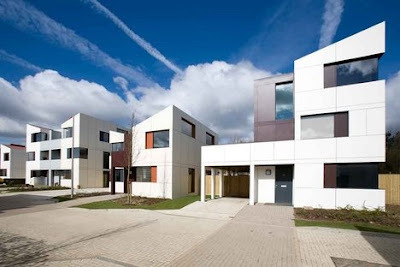 Located in Southern part of Great Britain is the Oxley Park in Milton Keynes designed by Roger Stirk Harbour & Partners. 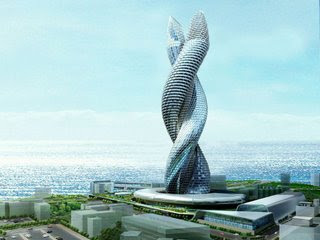 You will find this in Kuwait, this is an Infosys Building. Done by UCX Architects in Amsterdam , this is an apartment complex called The Urban Cactus. This is truly an amazing design. 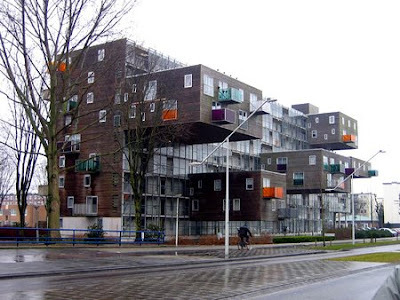 An apartment complex which is located in Amsterdam. This will be found in Toronto Canada. 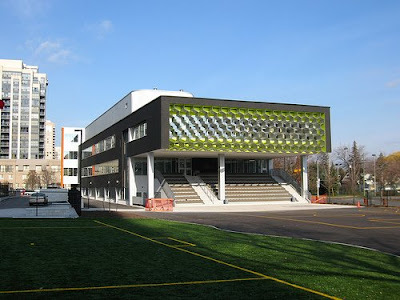 Kohn Shnier Architects designed this project for the Toronto District School Board. 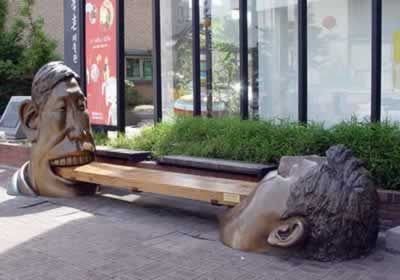 And lastly, the two heads that will gonna be staring as you sit and take a break....sooo ready to eat you up.LOL!